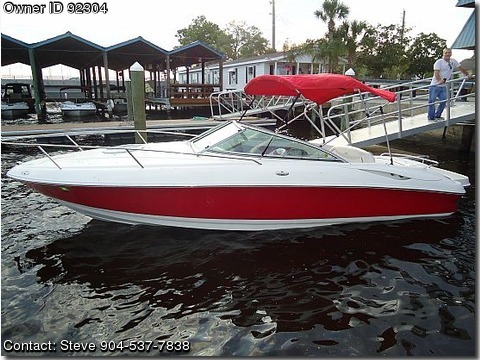 Basic Description: 2004 Red Monterey 228 SI Montura Cuddy Cabin with Sports seating and low hours. Kept in dry storage, very well cared for. Includes new bimini top, life jackets, AM/FM CD Player and cover.